Dazzle your friends! Amaze your family! 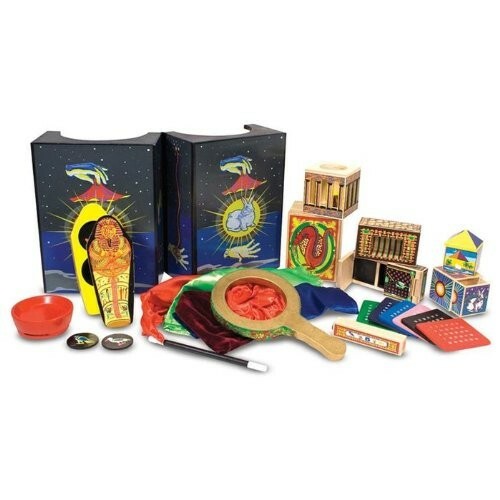 Melissa and Doug's Deluxe Magic Set includes all the materials you need to put on a really good show filled with amusing illusions and clever sleight of hand tricks. 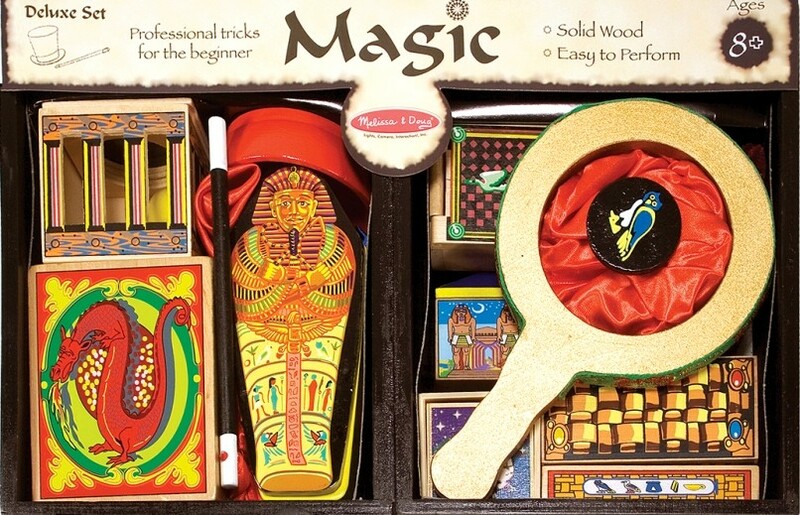 Even beginners will feel like professionals in no time with this collection of can't-miss magic classics. 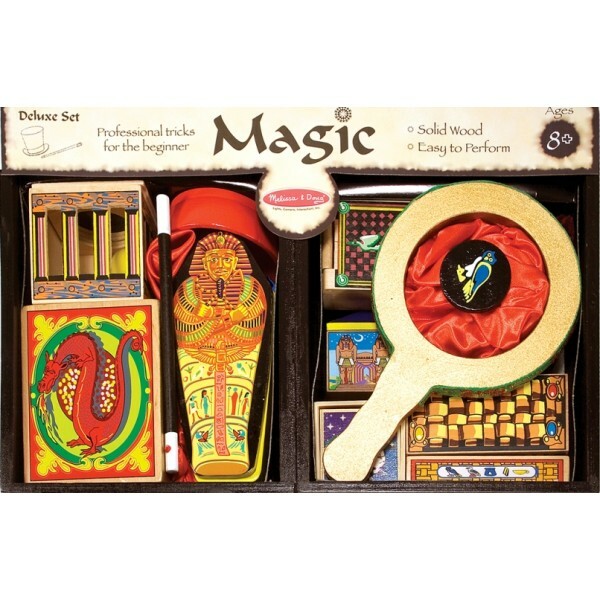 A wooden storage box helps you keep track of all the tricks.